Our latest episode is a trip to the Fishing Highway 24 in the Cariboo Region in June 2018. I targeted kokanee at Deka and Hathaway Lake with Mark Roseboom from Lone Butte Sporting Goods. Both lakes can be very productive for kokanee, Deka is known for its exceptionally bigger average sized fish, up to 4lb. Enjoy the episode! If you plan to visit the area, be sure to check out Moosehaven Resort by Hathaway Lake. The resort offers six cabins for rent, as well as RV site rentals. There is a boat launch and floating docks to accommodate your boats. Kokanee fishing is readily available just minutes from the resort. Fair amount of rain has degraded water conditions for the Chilliwack River so winter steelhead fishing is coming to an end for this season. Lake fishing is excellent at the moment. Urban lakes are well stocked with catchable rainbow trout, while lakes further out in the valley are producing kokanee, cutthroat trout and bigger rainbow trout. Fraser River is on the rise, water is dirty, sturgeon fishing is reasonably good. Cutthroat trout fishing is very good in sloughs and tributaries of the Lower Fraser, where fish are feeding on salmon fry, stickleback, and insect hatches. There is a good variety of fisheries available right now so be sure to get out and have some fun! For daily updates, please follow us on Facebook and Instagram. Capilano River will start seeing the odd coho salmon in the system especially if rain continues this spring. Once the river rises when the dam releases water, then some fish should hopefully move in. Early season Capilano coho salmon are typically small, in the 1 to 4lb range. 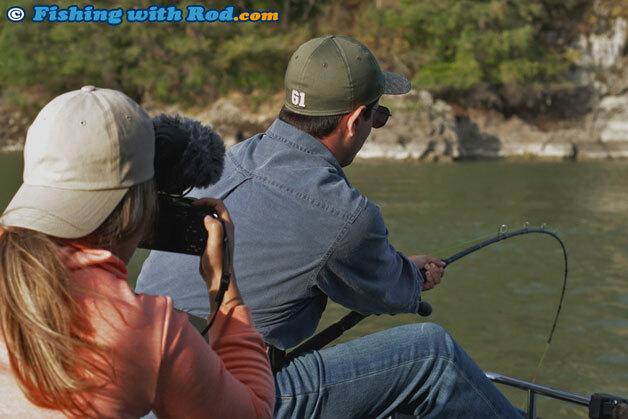 Float fishing with roe can be very effective at first light for these fish. You might also encounter the odd winter steelhead during this time of the year. ALL steelhead (hatchery and wild) have to be released with care. Please report individuals who choose to do otherwise. Stave River can be very fun during this time of the year! Two target species are available, they are cutthroat trout and mountain whitefish. Coastal cutthroat trout are feeding on salmon fry as well as insect hatches at the moment. Fly fishing for them with minnow and nymph patterns can be very effective. You can also cast and retrieve small spoons for them. 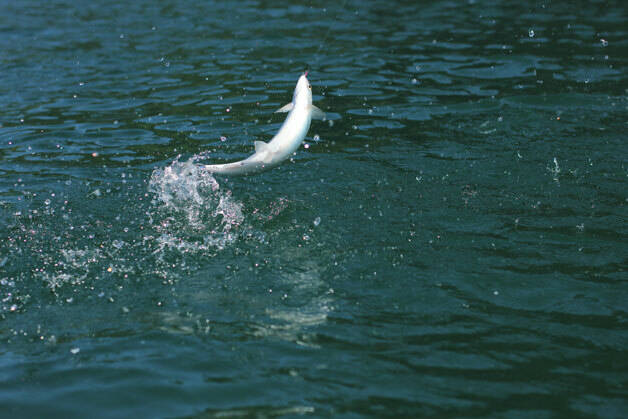 Mountain whitefish are primarily bottom feeders so nymphing, or float fishing with bait are your best options. As the weather warms up, you'll also find northern pikeminnow and peamouth chub in the system. These are fantastic species for kids to catch. Squamish River conditions remains good. Trout and char fishing is happening. The odd winter steelhead might be encountered but overall it is slow as expected. Cheakamus River is also a tributary that you may want to try if you are going after winter steelhead. Catch and release applies to all species, and there is a bait ban in effect. Chilliwack Rive is still producing winter steelhead. You can get into some nice clean fish in the lower river, while in the upper river fish are in spawning mode, so pick your area to fish wisely. Whitefish, rainbow trout and bull trout are also common encounters during this time of the year. Salmon fry are abundant in the river right now so try float fishing with a tiny spoon or fly fishing with minnow patterns for all these species. Please remember that fishing will be closed upstream from the Vedder Crossing starting on May 1st, while it remains open for fly fishing only downstream from the Vedder Crossing. Tidal Fraser River is mostly quiet during this time of the year. Water clarity is now poor due to freshet. Bull trout can be caught by using roe on the bottom but please remember that this is a catch and release fishery. You may encounter the odd fish by casting and retrieving spoons and spinners but chances are small as fish cannot see your lure too well. Your best bet is to fish around high tide when the clearer saltwater moves into the river. We are not expecting any salmon openings in 2019 for the Tidal Fraser River. 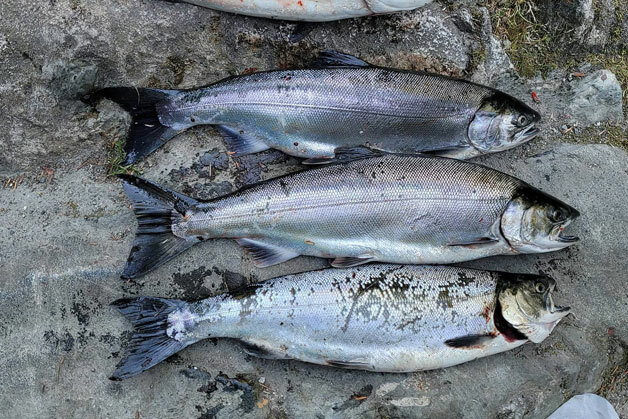 The only possible opening is the pink salmon opening in late August and early September for about two weeks, but that will be decided based on the estimated run size as we get closer to the season. Please note that in spring 2016, Fisheries and Oceans Canada has issued a night time fishing closure for all finfish species in the Tidal Fraser River. To fish the Tidal Fraser River (downstream from the railway bridge in Mission), you are required to have a valid saltwater fishing licence. If you would like more information on fishing in the Tidal Fraser River, please stop by Berry's Bait and Tackle in Richmond. Mike, Len and Michele have a team of knowledgable staff who regularly fish this area and they can help you out. White sturgeon fishing can be very good this time of the year. Eulachons are making their way into the system to spawn so these fish are feeding on them. Salmon roe in sacs can also work very well. Fish in the 3 to 6 feet are common, but there is also a good chance to get into fish in the 8 feet range. If you have never tried this fishery before, your best bet is to hire a guide. We recommend the following guides. Cutthroat trout fishing can be very good right now but you have to focus in the creeks, sloughs, tributaries of the Fraser River where water is much clearer. Fish are feeding on salmon fry, sticklebacks, and insect hatches. Fly fishing with these patterns can produce well, or you can spin cast with a small spoon or spinner. Lake fishing is peaking in the next several weeks so be sure to take advantage of it. All urban lakes have been stocked with catchable rainbow trout by the Fraser Valley Trout Hatchery. These fish can be caught by a variety of fishing techniques. Float fishing with bait such as deli shrimp, single eggs, dew worms is my favourite method. Fish can be caught throughout the day but the best time is definitely late in the afternoon when lakes are shaded. Kawkawa Lake has not been productive after a few good days right after ice-off. Kokanee have turned off, which is not unusual for this time of the year. The fishing generally picks up again in mid to late May. Hicks Lake is quite productive at the moment. Three species can be encountered, including rainbow trout, cutthroat trout and kokanee. Water is still quite cold so fish are mostly caught near the bottom. As it gets warmer, float fishing in the shallows can be more productive. Cultus Lake is still cold. Pikeminnows are still in the deeper parts of the lakes. Cutthroat trout can be seen feeding near the surface at times. You can catch these by either float fishing with bait, trolling with spoons, or fly casting with minnow patterns. Bull trout can be found in this lake, mostly near creek mouths. Please remember that for lake fishing, if you are fishing from shore, you are only allowed to use ONE rod. If you are fishing alone in a boat, then you are permited to use two rods. Only one hook is allowed on your rod. Please note that single barbless hooks are required to be used at some lakes. You should note the daily quota of trout for the lake where you are fishing. Catch and release is required in some lakes, please check regulations. Before heading out, please read the freshwater regulations in Region 2 first. For more regular updates, make sure you follow our Facebook page. If you witness violations, please contact the nearest conservation office or phone 1-877-952-RAPP (7277). Conservation officers can not attend all calls, but they do their best to catch those who do not choose to play by the rules. Good luck and please conserve your catches!